I recently communicated with DJI about the idea of propeller guards for the Mavic Pro. I don’t want them myself, but they sounded like a great idea for new or inexperienced pilots. 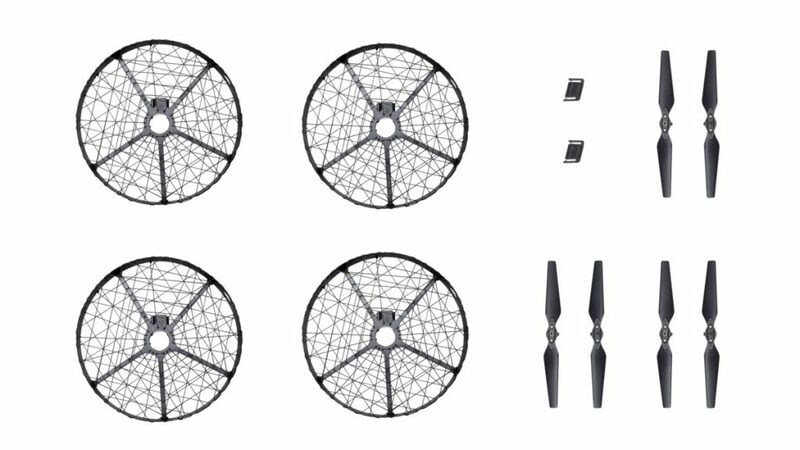 Now, just a couple weeks later, DJI has added propeller guards and a whole lot more to their store. Including a new advanced charger, remote controller hood, and those propeller guards, DJI now has over a dozen official accessories available for your Mavic Pro. We won’t cover all of the accessories in detail here today, after all, most have already been available, or just came with your Mavic Pro in the first place. However, some of the new accessories are very exciting for us, so let’s dive in. Please forgive me, I was so excited that I places my order for a few things before I started writing this post. I’ll share my purchasing list at the bottom of the article. Hope I didn’t steal the last of any of their stock from you. First up, you wouldn’t know it looking at the thing, but there is a new Advanced battery charging hub. 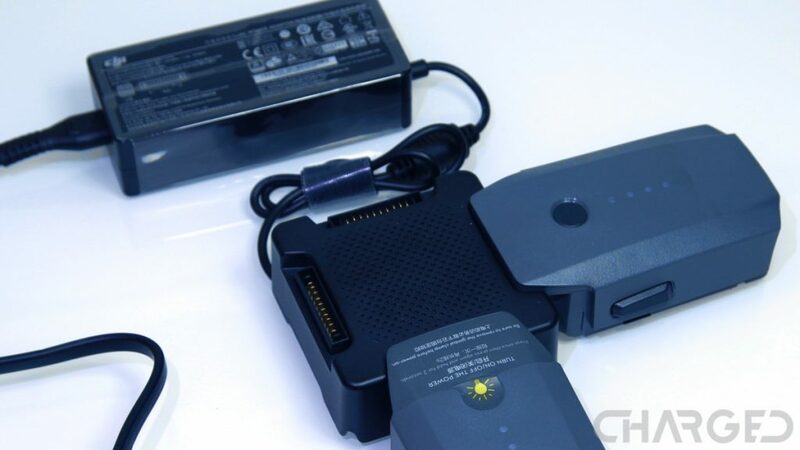 Offering the same 4 battery charging capability as the initial battery hub, it really comes down to versatility for other DJI products when determining value. Charge Mavic Pro batteries or Phantom 4 batteries. Use the Mavic Pro charger to power the hub, or the Phantom charger, your call. Batteries will be charged one at a time still, topping up the most charged battery first, then filling the lesser filled batteries in descending order. That’s a $55 option to get the most versatile charger we’ve seen yet for the Mavic Pro. Next, the propeller guard, and new propellers. The changes to flight dynamics is more noteworthy than the addition of the accessories – propeller protection is very important in some situations, of course. Four individual cages wrap around each propeller arm, encasing the propellers for safety. New, shorter propellers are required to fit the cages. The result of the propeller guard and smaller propellers is greatly reduced flight time. A maximum of 12 minutes in the air, and the recommendation to keep the Mavic Pro in Tripod mode create a new use for the drone. There are some pro photographers that will get value here, as well as new and training pilots enjoying the slower pace and improved safety. A great option. At $159 for the full conversion set, you may have to think hard about your needs before purchasing. Not available just yet, but announced for later release is a simple propeller guard, just a plastic rail like we’ve seen on many drones. Stay tuned for more details on availability, but they’ll be $15 when they go on sale. The first thing I put in my cart was the new ND Filters Set. I am very eager to get the most out of my aerial footage from the Mavic Pro, filters to help reduce glare and even out lighting in extreme situations sounds good to me. Be sure to stay tuned for some samples, I’ll revisit our camera review once these are in hand. Grab yours for $35. I know you have a folded piece of cardboard already, but wouldn’t you like an official remote controller hood for your Mavic Pro controller? 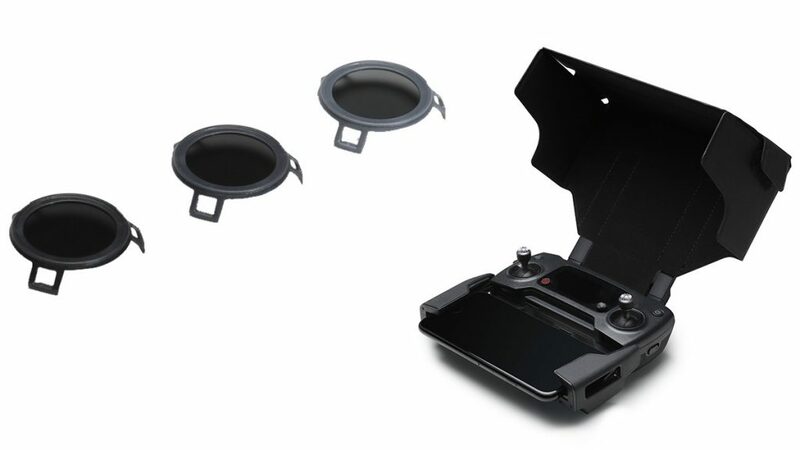 It appears you slip this folding box onto your controller antenna, providing some shade for your connected mobile device display. DJI’s super bright displays for the Inspire 2 are not an option, so we’ll drop the $19 on an official folding hood. Finally, at least as far as new accessories go, look for a new sleeve to slip the Mavic Pro into. There’s a Manfrotto backpack as well, but that’s not exactly official gear. Also available are existing accessories, including the chargers, replacement propellers, replacement cables and the Gimbal cover. Perhaps my favorite, if least used accessory, the battery to power bank adapter. This adapter came in the Fly More bundle, allowing you to use a Mavic Pro battery as a powerbank for your other USB powered devices. Like I say, I’d rather save the juice to fly, but full credit to DJI for thinking outside the box. Head on over to the DJI Mavic Pro accessories page to see all the tools and parts currently available for your folding drone. 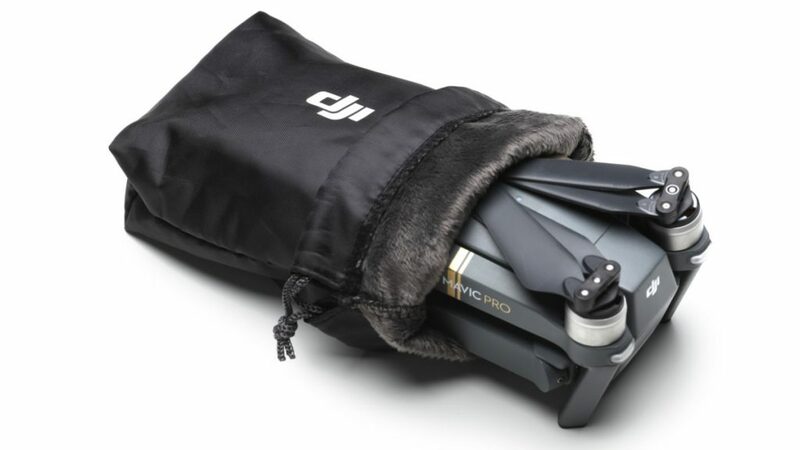 My order consisted of the ND Filters, the remote controller hood and the aircraft sleeve – are you buying any of these new accessories for your DJI Mavic Pro?